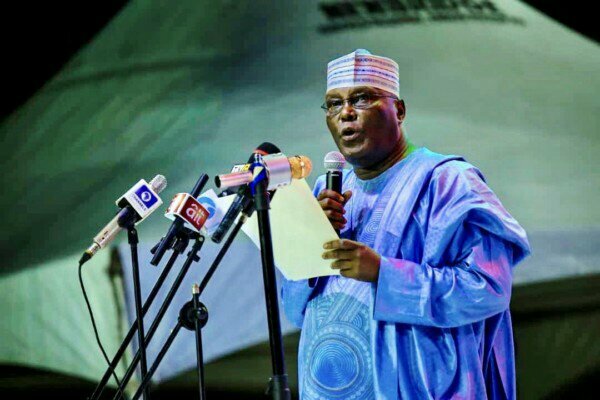 The presidential aspirants of the People’s Democratic Party, PDP, Atiku Abubakar has said he didn’t appear for the presidential discussion in light of the fact that Buhari was not present. 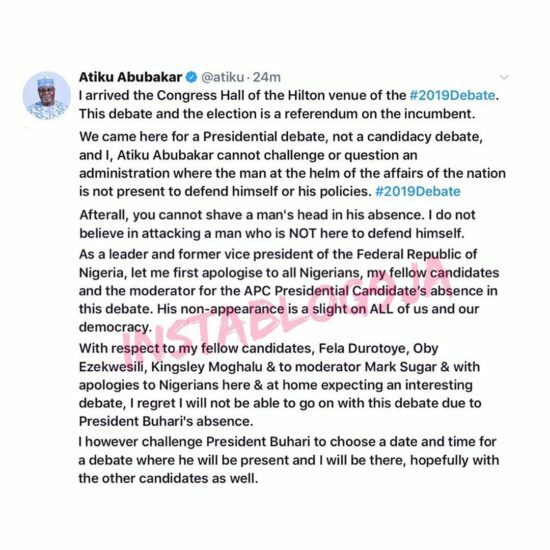 Atiku Abubakar shielded himself for being not present at the presidential discussion which was held at night of January 19. Atiku said he was not present in light of the fact that he can’t confront a government where the man accountable for the responsibility is absent to shield himself. Atiku additionally proceeded to dare Buhari to choose another moment for another discussion that will additionally have other aspirants.